Over Optimization: Making Sure That Your Websites Shine Like Diamonds! 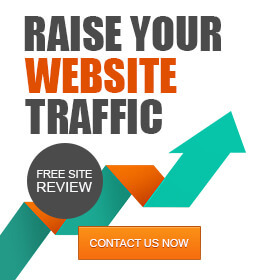 1 Never Worry About Your Websites Optimization Ever Again! 2 Matt Cutts isn’t going to do your SEO work for you, but there are plenty of people out there who will – you’ve just got to find (and hire) the best of the best! 3.1 Why Do You Need to Use High-Quality Content? 6 What Are Search Engines Actually Looking For in a Website? 7 Optimize ALL Of Your Websites Platforms! 9 How Can I Get the Right One (Without Over Optimizing)? Over optimization occurs whenever you have taken it upon yourself to go “above and beyond” the normal means of optimization. This is a problem for many different reasons, but that’s something we’ll get into a little later on down the road – we don’t want to jump the gun, now do we!? If you’re a webmaster that’s looking to make a significant impact on the internet marketing world, you’ll have to plan accordingly; you’ll also need to make sure you avoid over-optimizing anything. The entire purpose of getting into this field of work is to turn a profit, and that can’t be done when your website isn’t in the best possible standing it could be in. Matt Cutts is a face over at Google that used to be associated with constant updates, and that usually meant having to deal with “the death-dealer” – that’s a name I would use for somebody who you constantly watch over social media feeds and worry about (in regards to your SEO practice); there are tons of examples all over the internet. He mentioned back in 2012 that over optimization of a website was going to be a problem, and that Google was looking to release something that had a rather serious tone to it. This scared more than a few people, and it lead others to look into the matter of “over optimization”. This isn’t a laughing matter, and it’s something that could drastically change the way your current SEO project is going. During the year of 2012, there was a penalty rolled out for over optimization – it was meant as a measure to keep people from just stuffing their pages with keywords for rankings. If you want to rank these days, it’s usually going to take incredibly high quality content (that’s going to engage the user, as this will save you time and money in the long run) and efficient link schemes. Matt Cutts isn’t going to do your SEO work for you, but there are plenty of people out there who will – you’ve just got to find (and hire) the best of the best! “The idea is basically to try and level the playing ground a little bit, so all of those people who have sort of been doing (for lack of a better word), over optimization, or just overly doing their SEO, will now be compared to the people who are just making great content and trying to make a fantastic site!”. So, you see, Matt Cutts broke it down for us pretty well back in the year of 2012. You need a website that actually took time and dedication to build, as well as content that’s going to hit home with nearly every single person that comes into contact with it. Why, you might ask? Well, I’m going to tell you exactly why! Why Do You Need to Use High-Quality Content? Visitors Feel Better – Visitors will feel a lot better about your website when the content on it is as high quality as it comes. Think of it from your side of the playing field, if you’re visiting a website and the content cannot be read due to keyword stuffing (which we’ll also get into a little bit later), you’re probably not going to appreciate it for what it’s worth. When your quality is going to hit home with the visitors who are frequenting your website, it not only appears to make sales go a little smoother, but it also ensures that over optimization isn’t something you’ll need to keep in check. Some people can write naturally and manage an abundance of keywords in one piece, others can’t – sometimes it might just be about finding the perfect writer. Most SEO companies out there have writers on their roster that will do a fantastic job, so you might want to just consider hiring an SEO firm today. The “Penalty” – You’re constantly working as hard as you can to make sure that your website shows up ahead of the competition on search results. Regardless of how you’re trying to achieve that goal, one thing that’s going to make you take a big hit is the penalty that comes alongside over optimization. This will not only cause you to change up the current practice that you’re working with, but it will help you keep things professional for any future endeavors that you might find yourself dealing with. SEO should be used like a coach in many different forms, it should teach you different tips and tricks, as well as keep your SEO protocol clean and efficient for the next website you’re going to put together. Like I said before, it’s probably in your best interests to just hire someone to handle all of this for you – that’s why most people choose to hire an SEO consultant. Conversions – When you don’t over-optimize a website, a lot more money is going to be made in regards to your web page. Whenever you can boost the revenue that a page is producing, you’ll want to do exactly that – and high-quality content can help you convert more sales from visitors as well. The name of the game is to convert, without any sales conversions a website might not even make that much money. Even if you’re not selling anything, you can still make a killing through selling ad space and such – but nobody will visit a website that produces low-quality content. A website is a lot like a baby, and I mean that by the fact that you’ll need to nurture it and watch it grow over time. When you over-optimize a website, it’s pretty much like over-feeding a baby – something you never want to do. It won’t turn into this handsome and hunky young man that you raised yourself, but instead turns into a hefty 30-year old smoker that just doesn’t care anymore. There’s a big difference between the two, and over optimization could lead towards one of those results; I’m sure you’re already aware as to which one that would be! Keywords play a pivotal role in how well your website is going to do in terms of making money, as well as how many people are going to see it on a daily basis. When you’re interested in getting as many keywords into your content as possible, you have to do it without putting too many in – you’ve also got to worry about getting the right ones. Irrelevant keywords are a problem that tons of people have to work through, but that could easily be avoided if they had just done a little more research in the first place. Using the wrong keywords can be costly, and it’s a must that you avoid doing that as much as possible. Whenever you can rely on the keywords that you’re using, the results are sure to follow. Over optimization occurs a lot through these means, but it won’t make a fool out of everyone! Research the different types of keyword variations you’ll be able to work with in your niche, it’s tough work, but it’s going to make every single keyword you end up using a reliable one. Research is a daunting task in its own right, so when you have to apply it to keywords, you know there’s going to be a lot of stuff to sift through. In the research process, there are plenty of tools that can point you in the direction. Seeing as over optimization is a problem that many different internet marketers find themselves having to overcome, making a small investment in some paid keyword researching tools might be smart. Alternatively, you could just figure out another option – hiring an SEO company to handle every single aspect of the keyword research is usually your best bet. Google actually has a keyword researching tool of its own, and it’s named “Google AdWords Keyword Planner”. It should help you plan the way you’re going to approach the next piece of content, a lot of people actually get their content ideas from taking a looking at the many different keywords in their niche. Some people will tell you that researching a keyword or two is easy, but going through an entire batch is an entirely different ordeal. If you want to get started quickly, just follow this easy-to-use protocol! You should be there in no time at all (well, you’ve still got to do a bit of work, but when all is said and done it will have been worth it). Here’s a step-by-step process on how to begin researching your keyword lists! Take it upon yourself to find some important topics related to your business/website. From here, all you have to do is put words to those ideas. If you’re in the blender business, make sure you try and find the best possible alternative words to blender for your own personal use. Fill up the required areas with your topic words and such, with tools like Google AdWords Keyword Planner, a bunch of different keyword selections will pop up. 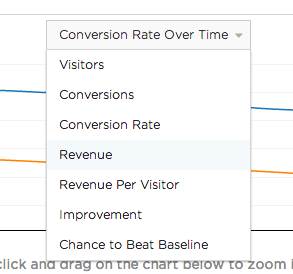 Research all of the different keywords that come up in the planning tool, see what the different rates of competition and other things happen to be – from here, you’ll be able to determine which ones are more reliable (and which ones aren’t even worth pursuing). Try and see if there are any long-tail keywords that you can supplement into your content/websites – these shouldn’t be the ones that you base everything off of though. 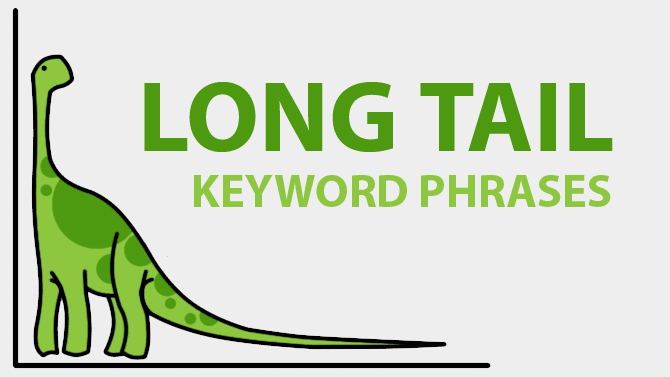 Long-tail keywords follow the same trend as regular keywords, meaning that you shouldn’t over saturate them; that will also lead to over optimization. Long-tail keywords are keywords that are somewhat secondary to the topic at hand, and they’re used (within reason) to make sure that every single piece of content being used on your website is as SEO-friendly as possible. When we say SEO-friendly, it definitely doesn’t mean over optimized! Long-tail keywords are almost like the salt and pepper to your content steak, it’s a seasoning that is somewhat needed in most cases. With the right long tails, you’re going to be pushing your content into a level of epic proportions. Don’t shoot yourself in the foot, make sure that you’re doing your due diligence when dealing with both keywords and long-tail keywords. 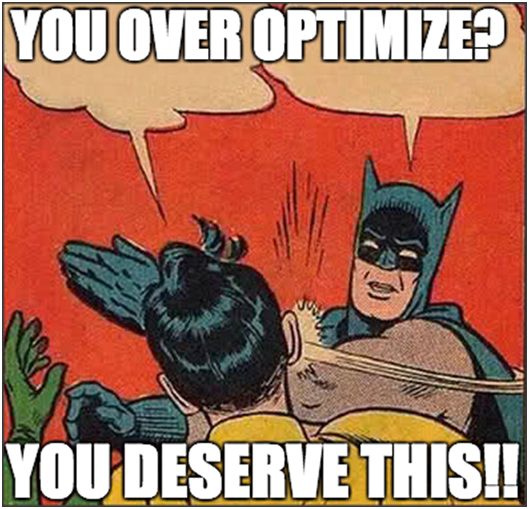 If you don’t, you may put yourself at risk of over optimization – or maybe even under optimization! What Are Search Engines Actually Looking For in a Website? 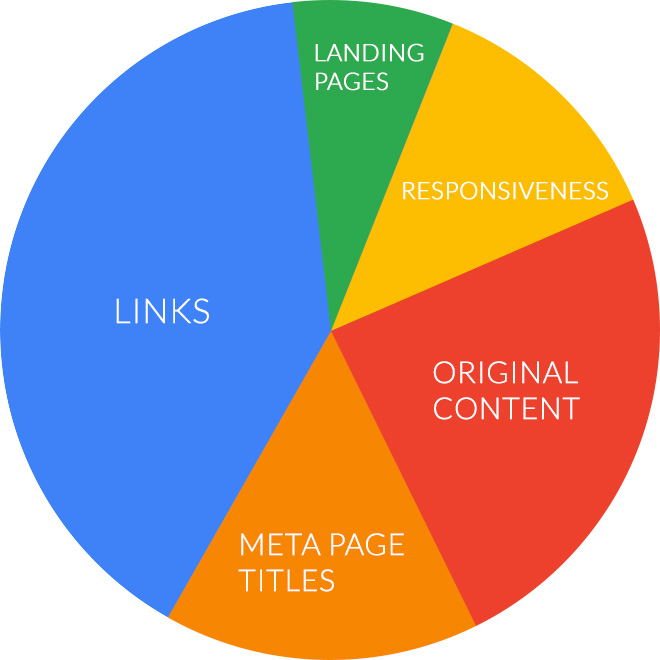 This is information that should fuel the very core of your SEO practice, and it will be a major factor in regards to the amount of growth and activity that your website sees. They have specific traits to look at whenever it comes to your website, and you should look at it like some sort of fancy desert. Is it going to be a beautiful layer cake, with each and every page bringing another form of entertainment/knowledge, or is it going to be a burnt apple pie with a little bit of whipped cream on top? The search engines that we’ve come to know and love these days aren’t going anywhere anytime soon, and they just want to take a look at the most relevant items around. Content – Good content is going to translate into good results, that’s why a lot of people tend to make sure their content creators are top notch. If they weren’t, they’d need a lot of SEO work to even think about being a successful website. Take a look at any successful website on the internet right now and sift through their content, do you notice anything “low quality” about it? Site Performance – A website that doesn’t operate smoothly is going to be a problem, because it’s not going to sit well with your visitors. When a bot goes to crawl your website for SEO purposes and it’s loading slowly, there are some pretty immediate penalties that could be hitting you. User Feelings – Believe it or not, search engines actually have something to say about how your users feel about the website. When your visitors are happy with the experience, word is going to get out – this could lead to things like social media posts or just a general boost of popularity in your website. Authoritative Stance – Backlinks and many other things will attribute to the “authority” of your website, so the greater your reputation happens to be (in regards to the general public), the better. Being popular is going to do a lot more for your website than you might think, that’s why marketing in general is always a good idea. You could still over optimize a website with authority-related links and such – so keep it in mind. These are all tips that will help you avoid over optimizing, as well as just improve upon your website in more ways than one. Optimize ALL Of Your Websites Platforms! If you have a social media program that is trying to reach out to others around the world, you should seriously consider optimizing them at different rates. For example, when you’re looking to grow your business through the use of Twitter, you’ve got to ensure that you’re not over optimizing your social media posts and such. If you don’t, you’re only going to be leavingroom for better optimization – and that’s going to translate to less than stellar SEO rankings. I’ve seen a lot of companies put up rather lengthy posts on websites such as LinkedIn and such, and they’ve taken it upon themselves to include keywords (that are well-optimized, mind you). The domain name that your website shares is very important, because it’s the very first thing that people are going to notice about your page. If you didn’t have the proper domain name, your SEO practice is already getting off to a bad start. You should always make sure that at least one of your keywords has landed itself in the domain name, two would be even better – you shouldn’t be pushing it, though! Don’t put too many keywords in your domain name, as that’s going to result in over optimization of the URL itself. Having a proper domain URL will always be something that helps you gain an upper-hand, that’s something you learn at the very beginning of your SEO journey (or, at least, should have learned). How Can I Get the Right One (Without Over Optimizing)? It’s simple, just do what you do with all of your content, but apply it to your domain name (on a smaller scale). Try and fit two keywords that are related to your topic in there, and you should be completely good to go! The amount of SEO “juice” you get from having a keyword-based domain alone is a pretty large one, but something that’s going to reflect “top10bestcarpartautomobileheadlighshop.com” just isn’t going to do anyone any favors. Over optimization is a process that you might be implementing on every single one of your web projects right now, and the main thing is that you catch yourself before it’s too late! If you’re invested in an abundance of spammy domain names and such, that probably isn’t going to be your ticket to success. To be completely honest, I would more than likely just suggest that you hire an SEO firm to take care of your optimization needs. When you hire an SEO firm, you can focus on more of the things that immediately matter in your life – the SEO process is a long and enduring grind. If you’re willing to take care of it by your own hands, that’s completely fine, but all of the big players within the internet marketing industry have a “go to SEO company”. These companies are going to understand many different things about SEO, some that you might not have ever even touched upon. There are experts at everything in this world, and filling the need for an SEO expert happens to be easy these days! Don’t be a fool and hire an SEO consultant/company – they’ll take you a much longer way! SEO Experience – Over optimization isn’t a problem when you’re looking through every piece of content (and link) like a hawk; these guys are here to make sure you get the best bang for your buck. General Knowledge – Applying some of the techniques I talked about in this article won’t be easy for a lot of people – hiring an SEO consultant or company will save you from having to deal with the hassle of working with new technology. Over Optimization Will Never Be a Concern – SEO services will never over-optimize your content, or anything else related to your online endeavors. Most of them even have specific content writers on their payroll and such. Using these tips and other tid-bits of information I’ve written within this article, over optimization should never be a problem for you and your websites – now get out there and get down to business! Tons of professional (and well respected) companies take it upon themselves to hire others for SEO help; it’s only natural.